In honor of the French populace, and the favor they just did us all, can we finally get rid of their worst curse upon civilization? The insipidly misleading and lobotomizing "left-right political axis"? Given that every metric of entrepreneurial markets and creative enterprise does better under democrats, what purpose does the metaphor serve? And is there a better explanation for America's Blue-Red divide? Democrats held both Congress and the White House for only two of the last 22 years. Only four of the last 37. And yet, they were busy. Their salient trait is not to be “leftist” – (judge by actual outcomes) – but rather to be manic, scurrying around to address problems during their limited time in power. Hence, we should note the science-tech actions taken just during the 2009-2011 span. Sci-tech-related actions include the CAFÉ increases in fleet efficiency standards that Republicans claimed would “destroy the US auto industry.” Recall that just a year earlier, the GOP opposed the federal government making secured loans to GM and Chrysler (loans that were paid back), shouting let ‘em go under!” Those efficiency standards made all our cars vastly more economical, saving drivers billions, while reducing pollution and all of it while US autos got ever-better, safer, more luxurious and cheaper in constant dollars… oh and while U.S. carmakers made fine profits. Likewise, several bills passed during those two years that stimulated the sustainable energy markets, so much so that we now appear to be verging on a “solar singularity.” That is the moment when the incredible acceleration of sustainable power supplies (including wind) gains unstoppable momentum. More jobs are being created in solar than have been lost in coal, by an order of magnitude. See the stats; they are quite impressive. Following an amazing 30-fold increase in PV sales over the past nine years, the solar industry in the U.S. now employs more than 260,000 workers nationwide. That’s more workers than Apple, Facebook, and Google combined. Far more than the 80,000 still laboring in coal. This spectacular rise -- declared impossible under the bushites -- was unleashed by the democrats' brief, manic time in power -- 2009-2010 -- and protected under Obama. It is too late for the oil sheiks and coal barons and their paid shills to stop it. Because Adam Smith is now aboard. There is vastly more money to be made in renewables than in fossil fuel development. Sorry dinosaurs. Sorry fossils. Though I am still worried about resilience. A million solar homes in the US will shut down in the event of a power blackout, instead of providing islands of power for their neighborhoods. We should not have to wait for cheap battery packs in order to fix this, when a $25 switch would suffice, in the short term. But there’s more energy efficiency news, as TESLA Motors announces the soon-to-come unveiling of a project to make all-electric “semi”trucks to haul cargo with unprecedented efficiency. The troglodyte lords who are trying to drag us back into feudalism, while heaping scorn upon all of the fact and knowledge castes, don’t get it. If you guys succeed, you won’t like to see us when we’re mad. But you’re safe. Because you will fail. "2,250 square miles of coastal Louisiana is expected to be lost" in the next 50 years. Louisiana Gov. John Bel Edwards has declared a state of emergency over the state's rapidly eroding coastline. Oh, and the US Navy is desperately worried about 12 new Russian bases on the nearly ice-free Arctic. Tesla unveils an enormous solar farm on Kauai. Meanwhile, solar energy prices worldwide have dropped by 58 percent over the past five years. China is currently the largest producer of solar energy in the world, while the U.S. nearly doubled its own yearly increase, with some states showing remarkable growth. In particula, New York increased its solar power use by more than 800 percent. 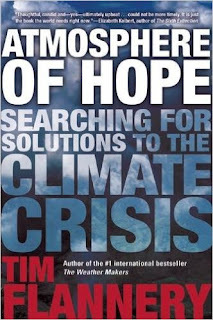 Shifting to climate: hypocrite-denialists cry: "There's not enough data to conclude humans cause climate change! It's premature!" Not true. But okay then. Assuming that to be the case: (1) Should we DO nothing about a threat that 99% of experts believe... until it's 99.9%? Or will you then move the goalposts to 99.99%? (2) Do you want the data that could settle the matter? Under the Bushes, research was slashed and satellites sabotaged. But the Bushes were subtle compared to Trumpists, who have ordered NASA to drop all downward-looking missions and to banish the word "Earth." "NASA's Earth-observing satellite programs (PACE, OCO-3, DSCOVR, and CLARREO Pathfinder), which are mostly still in development, are toast." Yep! If you cover your eyes and ears, problems go away! If you don't LOOK at a hypocrisy, it doesn't exist. Try that with a bullet.. Meanwhile, 53% of U.S. Senators and Representatives are climate change deniers. Are your representatives on this list? Record-setting weather and climate events are occurring at an accelerating pace. And yes, those who actually study these things know darned well what the cause has to be. Notice how the author stacks the deck, making “scientists” obsessive meddlers, like in some Crichton tale, while a brave few question the rush to fiddle with the planet. When in fact, the world consensus early (perhaps prematurely) coalesced around blocking even modest geoengineering experiments, for reasons of ideological prudity. 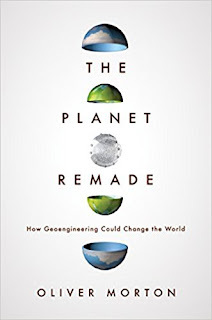 For a much better and more extensive exploration, see The Planet Remade: How Geoengineering Could Change the World, by the Economist’s Oliver Morton. It was longlisted for the 2015 Samuel Johnson Prize and shortlisted for the 2016 Royal Society Insight Investment Science Book Prize. And yes, I just targeted a barb at a politically correct position of the left. As I said, that metaphor is just loopy and... wrong. This kind of tactic needs ferocious, not tepid response. I find it effective to point out that half of the modern economy is built on scientific discoveries of this and earlier generations. And that Soviet tanks would have rolled across western Europe without our advantages provided by science. I ask whether expert opinion should at least inform public policy, even if experts prove to be wrong, maybe 5% of the time. I ask them if we should listen to the US Navy, which totally believes in climate change, given that the Russians are building twelve new bases lining the now melting Arctic Sea. I ask why, if they demand more proof of climate change, their leaders so desperately quash the satellites and cancel the instruments and ban the studies that could nail it down. 1- Where is a listing of these so-called “grants”? After 20 years, no one has tabulated a list to show that every scientist believing in climate change has a climate grant? 2- What about meteorologists? They are rich, powerful, with no need of measly “climate grants.” Their vast, sophisticated, world-spanning weather models rake in billions from not just governments but insurance companies, media and industry, who rely on the miracle ten day forecasts that have replaced the old, ridiculous four-hour “weather reports” of our youth. These are among the greatest geniuses on the planet… and every single one of them is deeply worried about climate change. 3- Funny thing. The Koch brothers and other coal barons and oil sheiks have offered much larger grants” to any prestigious or widely respected scientists who will join the denialist cult… I mean camp. None has accepted. So much for the “motivated by grants” theory. I’ve weighed in elsewhere about how to deal with this cult. No, it's not "left-vs-right." Not when most of the tech entrepreneurs, who made billions actually creating new goods and services (instead of via parastitism and inheritance) are almost all democrats. No. It is about sapient self interest. Calmly appraising outcomes. And looking at which politicians hate on science.